Over the years, wallet cases for smartphones in general and for iPhones if you like to be more specific, have greatly improved. I can still remember the time when iPhone wallet cases were considered bulky and not protective. They were poorly made and looked bad. Today this is no longer the case. If you desire a wallet case, there is a huge variety to choose from. There are several manufacturers that make great wallet cases and you can get very nice quality wallet cases for different range of prices. 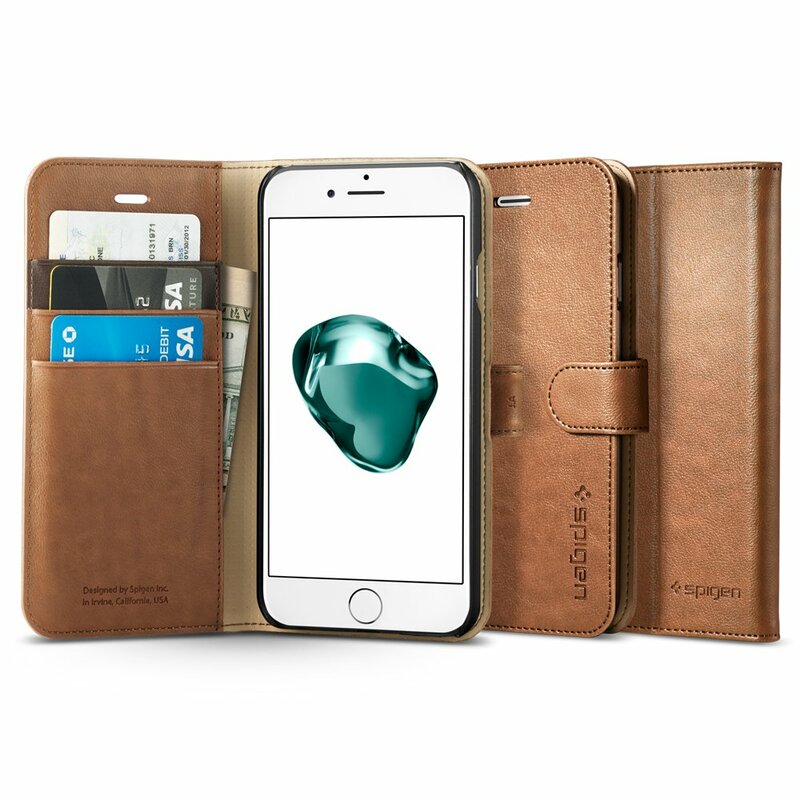 In this blog post we will try to find the best wallet cases from different categories and price ranges and see what case will fit you the best. Wallet cases used to be considered as cases for women but today they are targeted for both men and women. Wallet cases can provide a height and solid protection level and they are fashionable, colorful and very useful. I really like wallet cases and I always get me a new case for new iPhone models when they are released. It is very handy to have your wallet can your iPhone together. This spares a lot of space in your pockets and you can be much lighter while traveling. Over the years I had a chance to use multiple wallet cases for my smartphones. I have used Spigen cases and I always loved their quality. One of the best cases out the for iPhone 7 is the Spigen Wallet S case. This is the one on the image above. It is really well made, it has several high quality slots for credit cards and the case itself is very protective and fashionable looking. Should I just get a random cheap case on eBay? Why You should trust our recommendations? Geozit Cases. Powered by Blogger.